Ophthalmologists require data from many devices to be able to assess patient visual health. These devices are usually from distinct vendors and lack the ability to be interoperable between them, resulting in the disadvantage of doctors having to use multiple software tools when assessing one single patient. We solve that problem with OphthalSuite, a software tool able to display images and exam results specific to Ophthalmology, and able to handle and store relevant exam metadata calculated and outputted by the devices. The benefits of the above are more streamlined clinics, and smaller risks arising from having to use multiple software tools or checking printer papers, with all the risks connected to ensuring patient demographics accuracy on each system throughout time. In addition to day-to-day benefits to doctors and patients, by being unique at handling all the ophthalmology-specific complex metadata generated by all of the devices, healthcare units gain the ability to have better data to assess clinical outcomes, production, or even engage in research where such objective metadata may be relevant, as clinical trials, retrospective studies, or big-data projects. IF you have any question about the Lisbon contest , Please contact the following partner. With a degree in Electrical Engineering, António joined everis in 1999, accepting the challenge of establishing this consulting firm in Portugal. Throughout his career, which is linked to both public and private sectors, he has always worked in the Information Technology industry. He forms part of the everis Foundation board of Trustees, and participates of several non-profit organizations and business associations’ Advisory Boards. Pedro Vilarinho is currently Managing Director of HiSeedTech. Pedro was previously an Assistant Professor at the Department of Economics, Management and Industrial Engineering of Universidade de Aveiro. He has an undergraduate degree in Electronics and Telecommunications Engineering from Universidade de Aveiro, a MSc in Computer Science in Industrial Engineering from Universidade de Coimbra and a PhD in Industrial Engineering from Universidade do Porto. João Freire de Andrade is the head of BiG Start Ventures, an early-stage Venture Capital investing in startups innovating in the fields of finance (FinTech), insurance (InsurTech) and cybersecurity. The geographical focus is Lisbon, Berlin and London, but it is open to startups from other locations. BiG Start Ventures provides entrepreneurs with an unique environment for FinTech development, with access to banking infrastructures, systems expertise, banking products, banking users, compliance and regulation. João was a volunteer at the microfinance NGO Move, where has been in charge of supporting the creation of 7 businesses with underprivileged entrepreneurs in Mozambique. Founder President of Bring Entrepreneurs Together. BET has been responsible for the 24 Hours Entrepreneurship event, involving thousands of participants through the different editions. João has an Economics Bachelor degree from Nova SBE, a Master in Management with Major in Finance from Católica Lisbon SBE and the Fintech Course of Massachusetts Institute of Technology (MIT). He was a Teaching Assistant at the Master of Finance and Executive Education of Nova SBE and in 2017 has joined Católica Lisbon SBE to fully focus his academic contribution in Fintech. 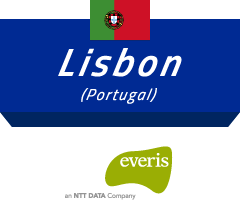 Luís Vaz de Carvalho is currently a Manager at everis Business Consulting unit in Lisbon. Luís has an undergraduate 5 year degree in Electrical and Computer Engineering from Instituto Superior Técnico and an MBA from INSEAD. Luís has focused his professional career in consulting being driven by disruptive thinking and transformational project implementation having done both as a consultant as well as in his management roles in other organizations.